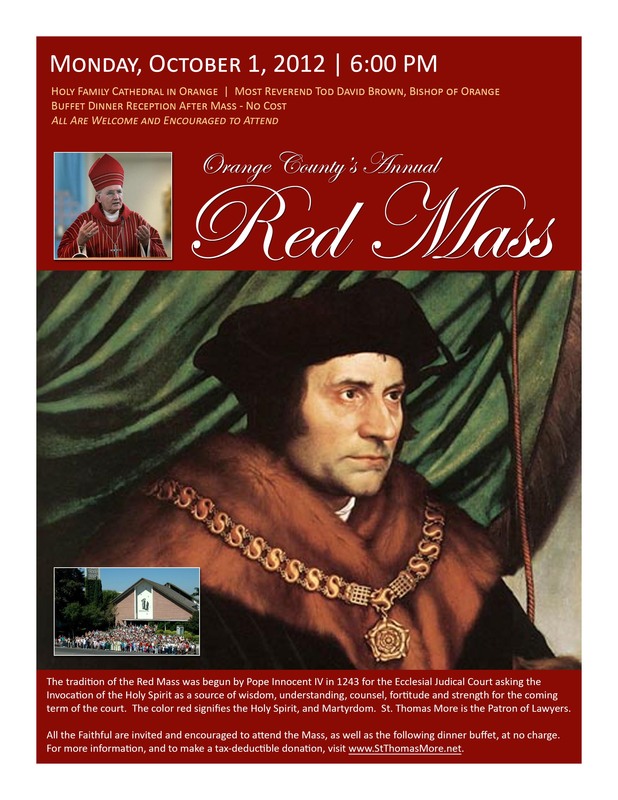 On behalf of Most Reverend Tod David Brown, Bishop of Orange, St. Thomas More Society of Orange County cordially invites all judges, attorneys, law professors, students, other members of the legal profession, and family and friends to gather together to celebrate the Orange County Annual Red Mass. Beautiful choral music performed by de Angelis Vocal Ensemble. A buffet dinner will follow Mass at no cost. Donations will be graciously accepted at the event, or can be made here. Click for more information about the Red Mass and our sponsors.